leave the textbook behind and read a book! I love to read books. Even more, I love reading books to my kids. A major component of our Curriculum over the years has been the reading lists from Ambleside Online. I prefer real live books to textbooks, any day. The trouble with booklists on the internet, is the finding of the books. I have spent HOURS, upon HOURS searching for books in print, or for the correct downloadable format for us to read. 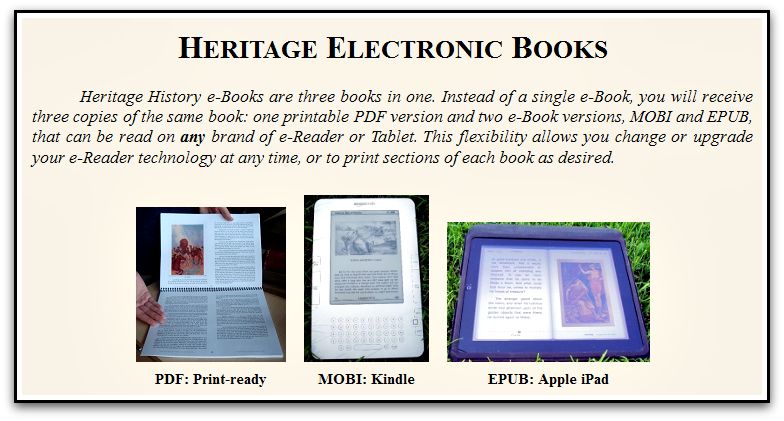 When my Kindle came along, I would search and search the free book lists to find the ones that we might need in the right format to download. Heritage History eliminates the need for all that hunting around on the internet. Many of the books we have searched for are easily accessed on these discs. I appreciate how they are broken up into themed collections, making it very easy use. We reviewed the Young Readers Collection. These books are meant to be started in the 4th grade, especially if you are going to be using Heritage History through the High School years. Do not be afraid to use this collection with younger children as read aloud material. My Four Year Old enjoyed listening to books from this collection. Being the introductory collection, the selections are easy-to-read and cover many historical periods, providing a broad introduction to Western Culture. You will find short stories from American, European, Ancient, and Biblical history. Both the Recommendations and Teacher’s Guide were helpful, there were a few tips in there I hadn’t thought of. I appreciated that the disk contained more than one version of the book. I could read it in PDF on my laptop. I could sync it with my Kindle and read on the go, and if we ever get an iToy, I can use that version as well. If you are a lover of living books, these collections will be invaluable to you as you teach history to your children. Young Readers Collection sells individually for $24.99, a very reasonable price for the time it will save you in hunting around the internet. The entire 5 volume set ,The World History Collection, is available for $99.99, a savings of $25, over individual purchases. 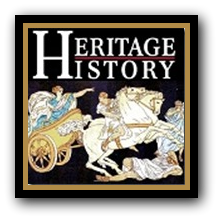 You may visit their website at http://www.heritage-history.com/ for more information and to see the extensive library they have available. TOS Homeschool Crew Members reviewed portions of the entire World History Collection. To read about their experiences, click here. 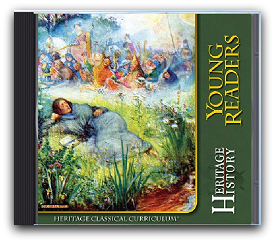 As a TOS Crew Member, I was selected to receive the Young Readers Collection from Heritage History, free of charge, and for the purpose of this review. No other compensation has been received. All of the above opinions are a result of using this curriculum in our homeschool. This entry was posted in Curriculum, Elementary School, TOS Crew Review and tagged literature, reading by julie. Bookmark the permalink.